I always admire the creative way Hermes plays with art to present their collection (look at the gloves making birds' wings! ), and fell in love with the minimalist yet expressive facial features of the portraits. 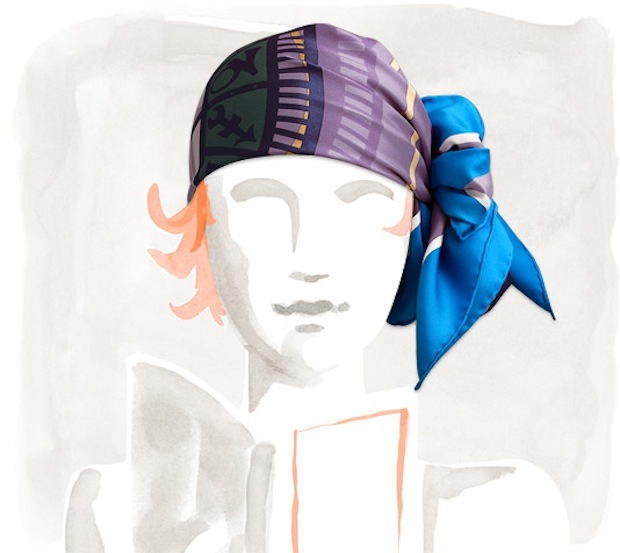 Plus, who doesn't love a new scarf tying idea ;) See more watercolors on Hermes website. Perfect! What beautiful images. Just last night I was wondering how I could tie a scarf into my hair. 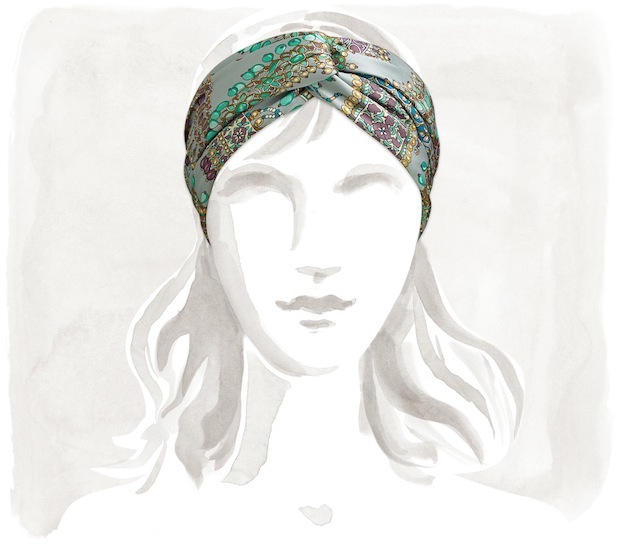 I have too many scarves to count and I'm always looking for new ways to wear them! I LOVE your selection! Mmmm scarves scarves scarves.... Lovely blog, but hey your many many followers tell you that :) hello new follower, that's me!